Babes and hunks will take you round the world with touching music, kawaii good looks, and the latest thrills. The up-close interactive streaming will make your heart flutter, 24/7 high non-stop! [Real-time Streaming] Watch global entertainment streams round the clock, and get the numbers of your gods or goddesses. Interact face-to-face with your beloved streamers and begin a journey of privacy! [Neat Gifts] Show your support and become the cherished guardians of your beloved streamers. Choose from many swell and dynamic gifts and make yourself known. There is never a coolest, only cooler. [Multi-Guest]Free voice and video multi-person interaction tool for millions of genuine and attractive streamers and users,Face-to-face interaction,more real, more fun! 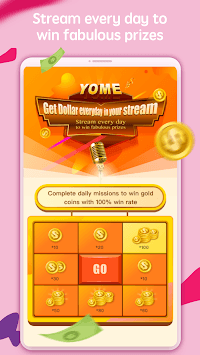 [Global Connection] With one press, connect to the world, make friends, and participate in interactive streams only at Yome Live. Try it now! [Magic Beautify]Smart beautification turns female streamers into goddesses once the stream starts. Show off a new you with this magical feature!! 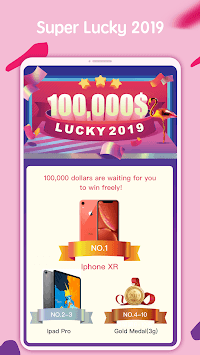 [Become an Online Celebrity]Join Yome Live and reach out to a massive viewer base. Share your life and talents with the world to earn money and gain followers. Display your charm now! Have fun and make friends on Yome Live. Try it now! Your opinions and feedback matter greatly to us and will help us to improve.